Here's a picture from this weekend. 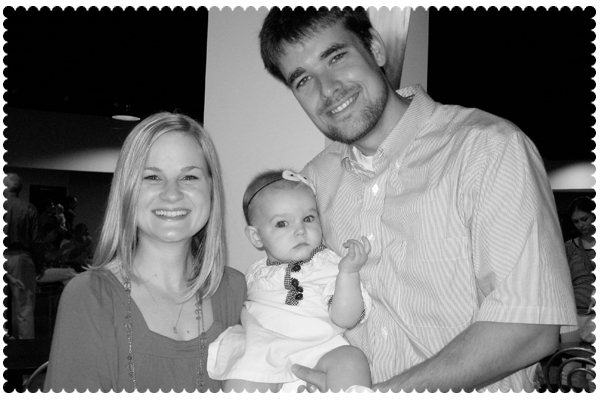 Sunday was Parent/Child Dedication at our church and we got to dedicate Miss P! What a great Mother's Day! Very cute picture of you cute little family! Glad to hear you had a great Mother's Day! I hope you had a very happy Mother's day! !